Rulings conform to Zaner-Bloser™ and/or D’Nealian™ handwriting programs. Note: A minimum quantity of 90 must be ordered, and in units of 10 thereafter. Pacon Multi-Program Picture Story Paper, 1/2" Long Rule, 9 x 12, 500/PK - Our Multi-Program Handwriting Papers offer rulings that conform to both the Zaner-Bloser™ and D’Nealian™ handwriting programs. 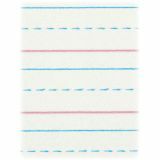 Bright tablet paper ruled both sides with red baselines, blue dotted midlines and blue headlines. 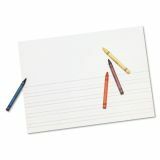 Picture Story paper is ruled with a 4-1/4″ picture space on both sides. Each ruling is available in 40 sheet tablets and 500 sheet reams. The tablets have a heavy chipboard back and protective full page, four color, retail-friendly front cover. 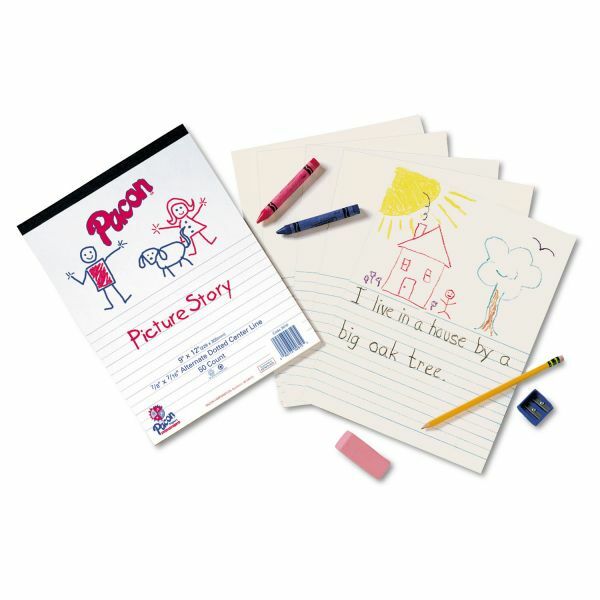 Reams are film wrapped with a full page, four color, retail-friendly top sheet. Recyclable.